The table plan is an important part of any Masonic dinner. But creating a table plan can be time-consuming if you don’t have the right tool for the job. Using scraps of paper or cutting and pasting in Excel is time-consuming and error prone. 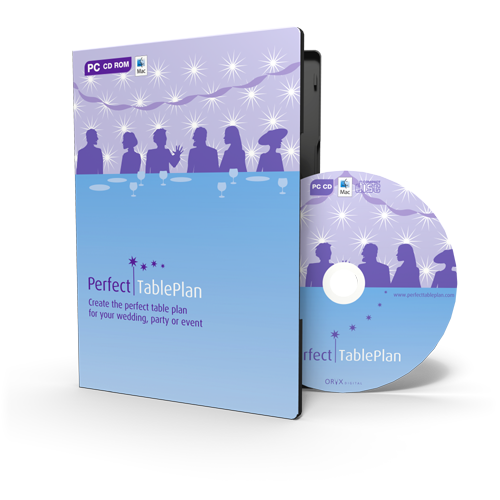 PerfectTablePlan is designed specifically for table planning and is used by many Masonic lodges in the UK and abroad. 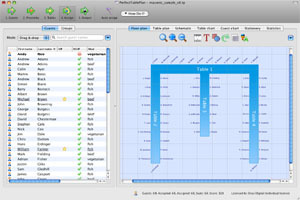 Create any head/sprig table layout (using multiple tables in the Home editions and a specialized E-shaped table in the Advanced and Professional editions). Import member and guest names and details from Excel and other formats. 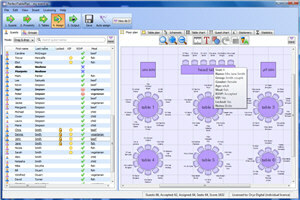 Drag and drop members and guests onto seats – no more fiddling with scraps of paper or Excel. Specify who you want to seat together or apart and let PerfectTablePlan assign seats. Track meal preferences and RSVPs. Print professional looking plans, charts and stationery, including floor plans, table charts, guest lists and place cards. Add our free Masonic clipart to floor plans and place cards. Plan any number of events. 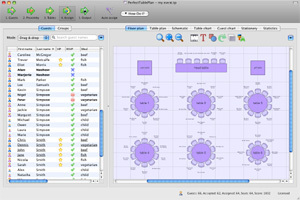 Re-use previous table plans as templates for new seating plans. 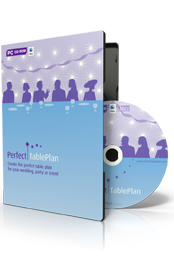 The easiest way to create a table seating plan for your wedding or event. Available for PC or Mac OS computers.